Built-in bell tables make incorporation of the bell choir with the many other choirs of this church easily accomplished. The original Master Plan for this growing church in southern Saratoga County, New York proposed an expansion of the total facility size from 16,700 square feet to 38,370 square feet. 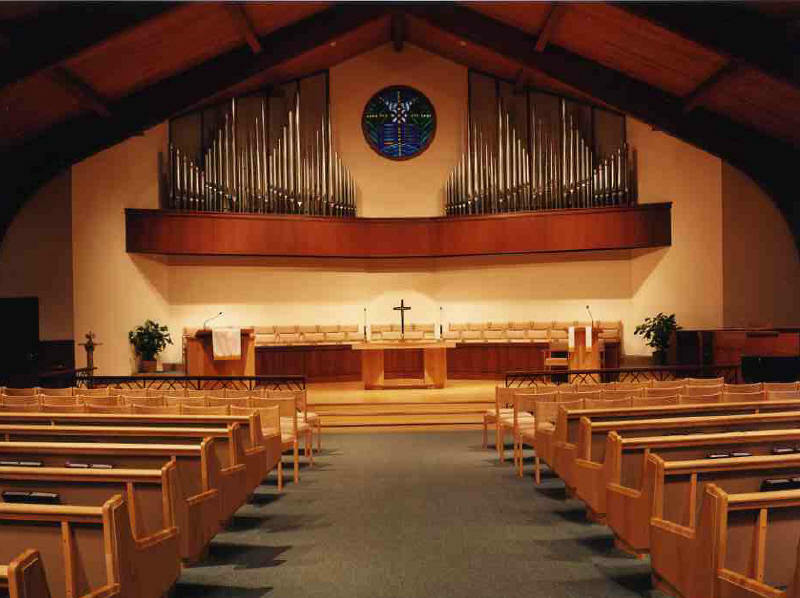 Most of the existing Sanctuary was retained while expanding its seating capacity from 180 to 411, with an overflow capacity of an additional 100 or more. The educational area was increased by over 200%, providing classroom space for almost 250 students. 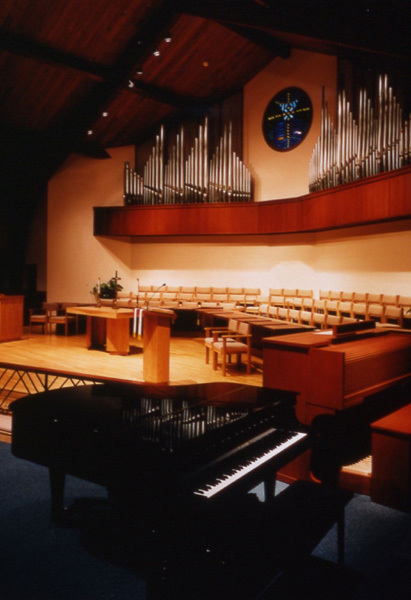 A combination of pews and chairs and a removable communion rail allow for a great deal of flexibility for worship services. A subsequent, scaled down Master Plan included the construction of a new Sanctuary, expansion of existing classroom space, and in Phase II, the new two-story education building. The existing Sanctuary has been renovated to provide classroom space and choir rehearsal space, while the new Sanctuary expands seating capacity from 180 to over 350, with an overflow capacity of an additional 100 or more. 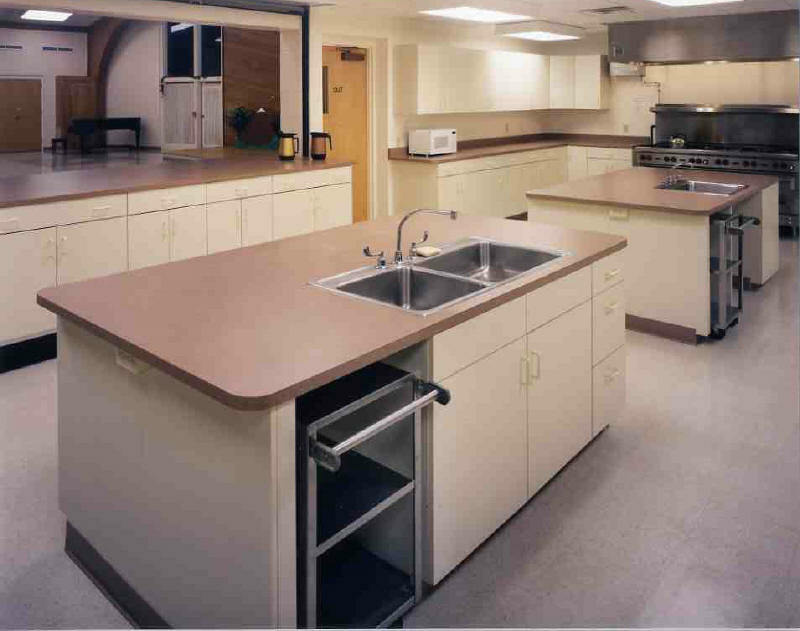 A new, expanded Kitchen provides adequate facilities for the expanded assembly area. A new, accessible entrance also helps insure a more inviting environment. Construction Documents for the revised plan were completed in early 1997. Construction was completed by Christmas of 1997. An expanded and renovated kitchen has made it possible for this church to continue their tradition of large church suppers.